Since 1945, Americans have favored the ‘ballpoint’ writing mode. Even today, 60% of ‘fine writing instruments’ are the ballpoint variety. Why? It’s cheap and convenient. But is it really the least expensive way to write with a ‘ballpoint’ tip? 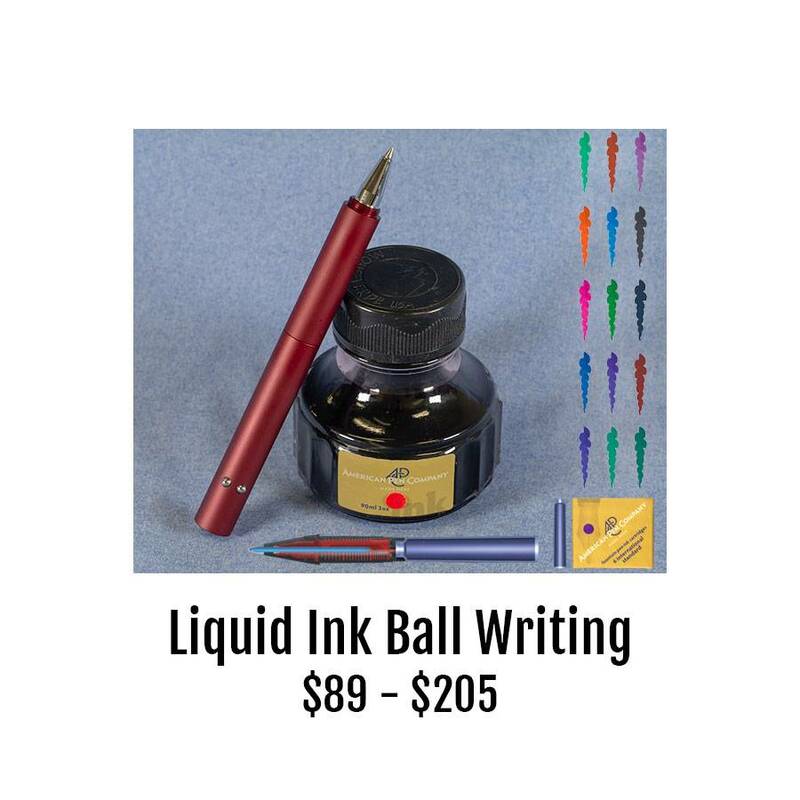 Choose our Ink Ball technology and writing just became significantly less costly. Our Ink Ball tip uses a simple plug and play liquid ink cartridge. Each box of six cartridges is equal to about two ballpoint refills. A box of ink cartridges costs $3.50. Our average ballpoint sells for $7 - $11. Choose to use your ink converter and a bottle of ink and the expense drops by half again! Choose from nearly 30 colors of ink in cartridges or bottles. We offer what we believe through our experience to be the finest quality inks sold anywhere. Through extensive in-house testing conducted on extensively used fountain pens returned for clogging, poor flow, and no startup of ink flow, we’ve found our proprietary formula to allow for years of leaving the cap off and instant startup.